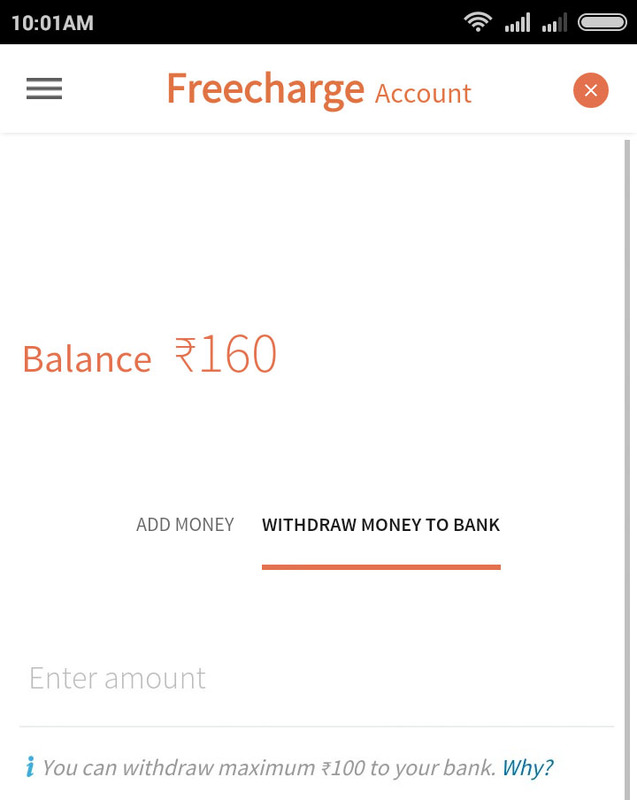 Like other mobile wallet brands Freecharge now allows you to transfer wallet balance to Bank Account. So let’s find out How to Withdraw Freecharge Balance to Bank Account, but first of all lets know the limitations and conditions of withdrawing Freecharge Balance to Bank Account. Money in Freecharge Wallet will be available for bank transfer only after 7 days for security reasons. Promotional Cashbacks given by merchants and Freecharge Recharge Cashbacks cannot be withdraw to bank. Maximum amount which you can transfer from Freecharge Balance to Bank Account is Rs.5,000/- and minimum balance is Rs.10/- in a single transaction. Additionally there is a withdrawal limit of Rs.25,000/- per month to your account. Just download and install Freecharge App from respective app store according to your device type. If you already have Freecharge App Installed on your smartphone than follow the next step. Open the App and login into your Freecharge Account. Navigate to Account > Cash > Withdraw Money to Bank (If you have not added your Bank Account, just add it by navigating to Account > Banks and enter the details like Account Number, Select Bank, IFSC Code, Account Holder Name and save it). Enter the Amount which you want to transfer from your Freecharge Wallet Balance to Bank Account, select the bank and click on Transfer. The money withdrawn from your Freecharge balance will be reflected into your bank account instantly. Just visit the Freecharge site and login into your Freecharge account. 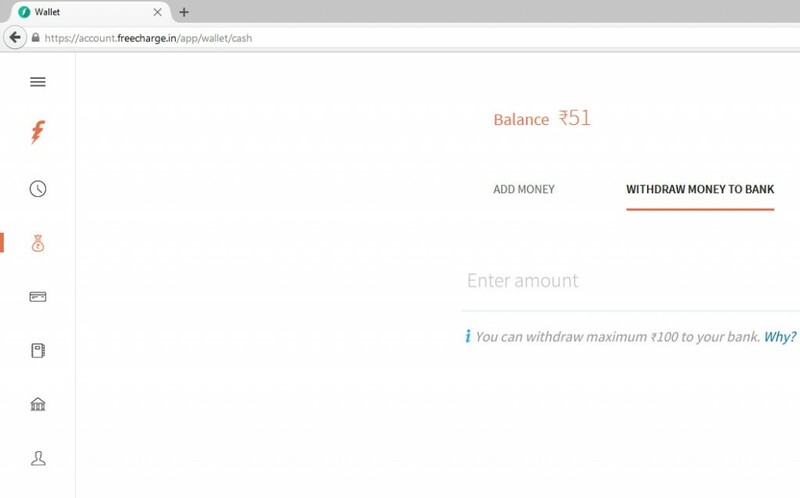 Navigate to Account > Cash > Withdraw Money to Bank (If you have not added your Bank Account, just add it by navigating to Account > Banks and enter your bank account details). Enter the Amount which you want to transfer from your Freecharge Balance to Bank Account, select the bank and click on Transfer. The balance transferred from your Freecharge Account will be reflected into your bank account instantly. That’s it this is how you can transfer Freecharge Balance to Bank Account.